Inexpensive is attractive. Our company is a food manufacturing company. 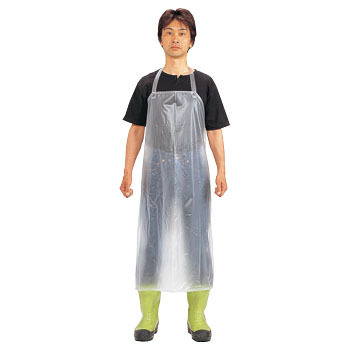 I have used a thick colored so far, but transparent apron wear on work clothes feel more cleanliness, I think that it is also easy to move due to its light weight. Would you like to use it in a disposable sense? This review is about item#34947464.